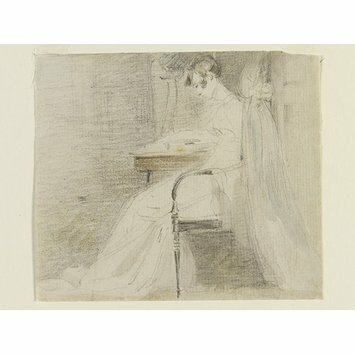 Pencil and watercolour drawing entitled 'A lady seated'. G Reynolds, 1973, p. 52. 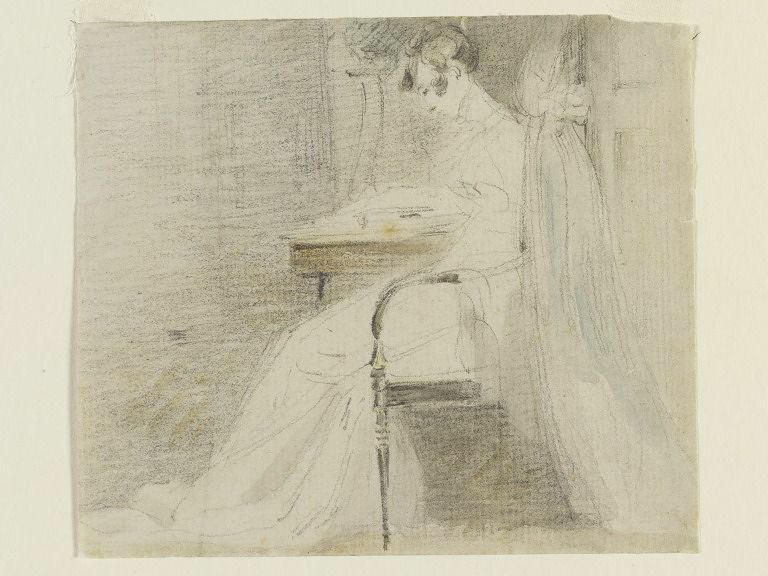 Pencil and watercolour drawing by John Constable entitled 'A lady seated'. Great Britain, c.1805, Reynolds cat. no. 64. Catalogue of the Constable Collection, Graham Reynolds, Victoria and Albert Museum, London: HMSO, 1973, pp. 52-56.